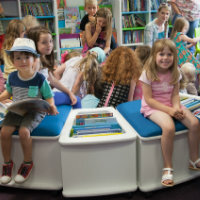 Suffolk Libraries is a membership organisation made up of 44 member groups, known as community or friends groups. These groups provide support and ideas for the development of their local library. They also help to raise funds for library improvements. You can get involved with your local community group in various ways, including supporting the library with an annual subscription, voting on the group’s leadership and goals and helping to recruit new members, raise funds and organise and run events. Many community groups have helped to support or fund refurbishments or buy new equipment for their library. Some recent examples are listed below. 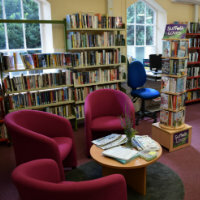 The Friends of Long Melford Library contributed to and supported a significant library refurbishment along with the United Reformed Church and The Hamilton Charity in March 2017 (pictured). You can find out more about joining your local library’s community group by visiting their page below or contacting the library.